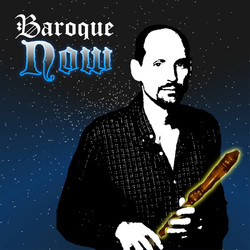 Baroque Now is the recorder playing of Richard Panero with synthesizer background. Debey Baroque Alto Recorder handmade by Jean-Luc Boudreau. Shure BG 4.1 condensor microphone. "The Bach Album" (12 tracks) at iTunes or Amazon.